Put the phone down and crack those knuckles. You are gonna need all the fingers you can get to keep up with this high intensity tapping game! High-5! Or 4... Maybe 3 or 2? 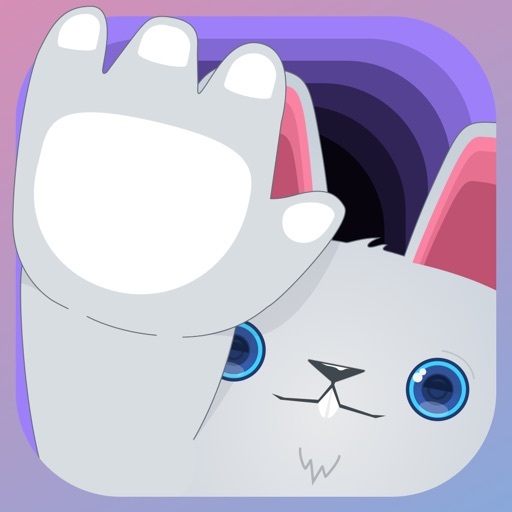 A new twist to an old classic, this animaltastic arcade revision of Whack-A-Mole will have you trying to tap friendly animal paws from all sides! 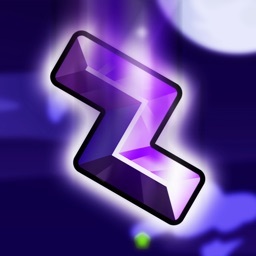 You have 10 seconds to boost up in level by chaining together as many good paw hits as possible to get the best score! 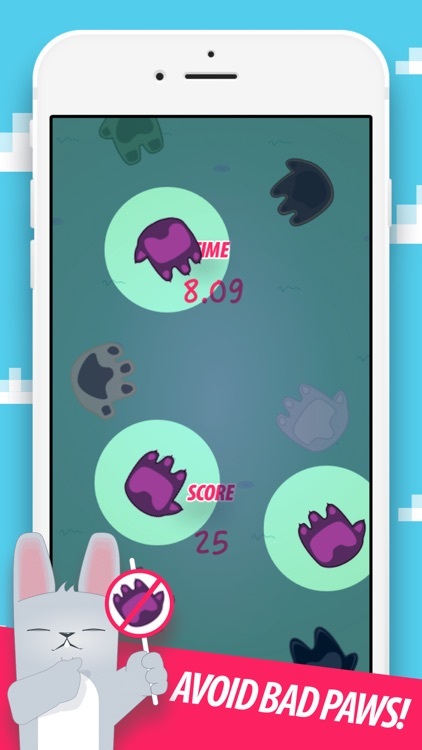 Watch out, those pesky purple skunk paws will hold your score back. 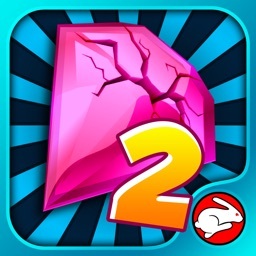 Once you've mastered the challenge - take on your friends and slap your way to the Best in Class Leaderboard or Dunce in Class Leaderboard! PLEASE NOTE! 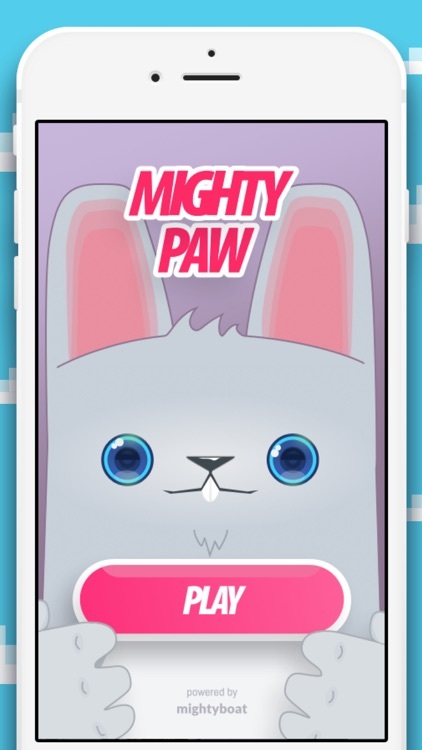 MightyPaw App Notifications will remind you to keep up with your friends and beat their scores! If you don't want to use this feature, please disable MightyPaw App Notifications in your devices settings. 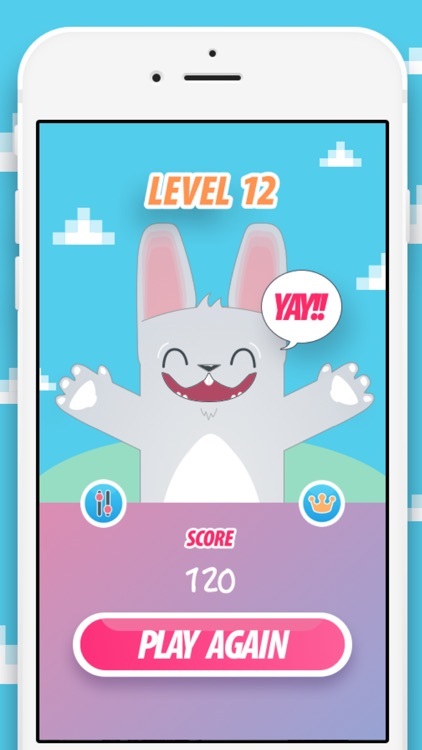 Also, under our terms and conditions, you really should be over 13 to play or have MommaPaw's or PapaPaw's permission to download let alone play. 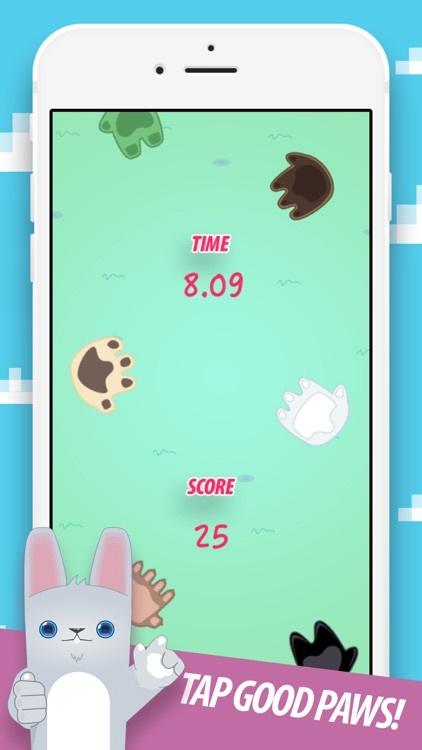 • 15 levels of speed that just get more insane as you level up. • Game Center connectivity and leaderboards so you can have bragging rights over your friends. 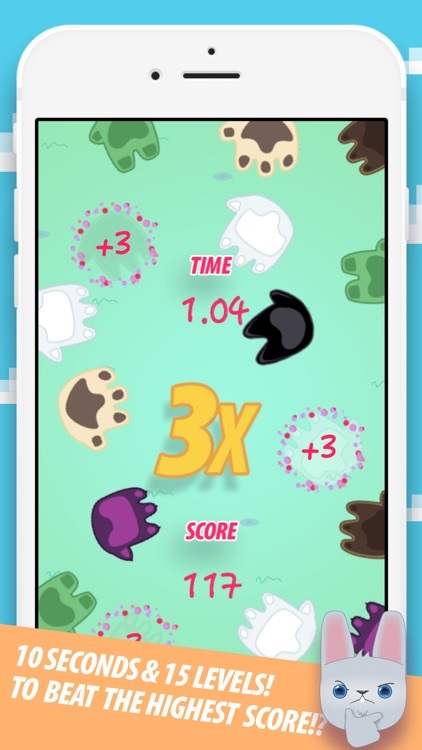 • 2x, 3x, & 4x Multipliers that increase with consecutive Good Paw hits, so you can reach the highest score possible. • Additional Bonus for last chain of Good Paw hits. • Original sounds and designs. 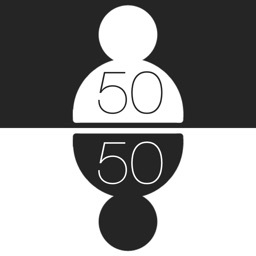 • Additional Features to come! iPhone 5 and up, iPod Touch Generation 5 and up. 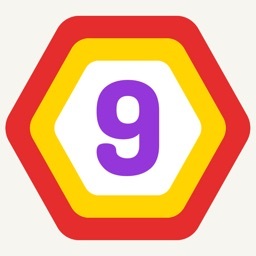 UP 9 - Hexa Puzzle! 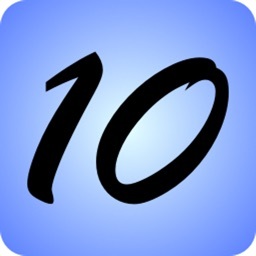 Today’s AppsGoneFree list includes a reference app, a fitness app, and an adventure game.